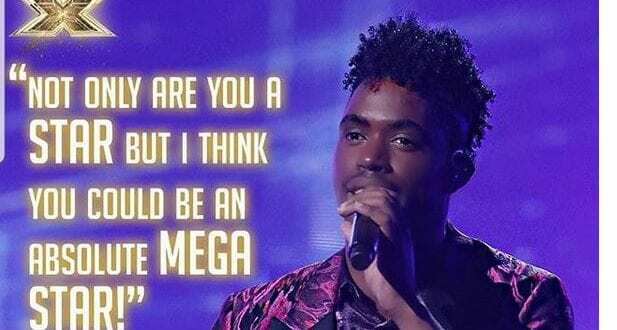 Dalton Harris the talented, Jamaican who is accustomed to being a winner is now heading for the finals of X Factor the very popular competition in the UK this weekend. Even though a photo of him sitting on the leg of another competitor went viral and persons had a lot to say about his sexuality, and this caused a bit of turbulence, but he still managed to give his greatest performance over the weekend. The 24-year-old Jamaican delivered a powerful rendition of “Feeling Good” which is a song written by English composers Leslie Bricusse and Anthony Newley. Robin Williams referred to Harris as a “Rhinestone Buble” as he described his western inspired fringed shirt and likened him to the crooner Michael Buble as he poured praises on him. He was also referred to as an absolute Mega star by another judge as he has consistently delivered high quality performances in the competition. The crowd cheered and showed their love for his performance and he went to meet with Sarah Ferguson who told him how much she admired him after that. Dalton Harris is focused on making Jamaica proud; he really wants to add his name to the list of talented Jamaicans who has caused Jamaicans to say “wi likkle but wi tallawah”. The comments that were made about him on social media didn’t cause him to falter in anyway, like a star he shone even brighter.